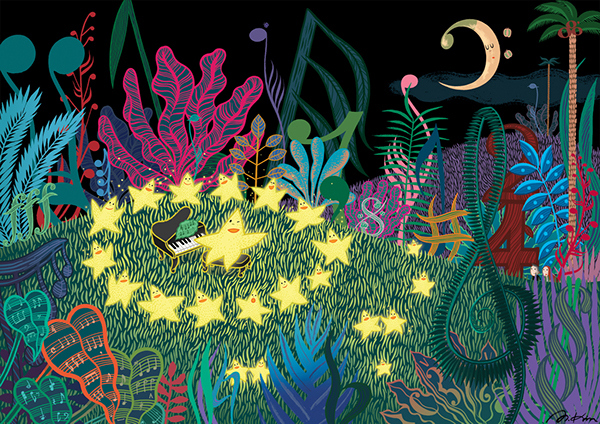 "Twinkle Twinkle Little Star" is a commissioned illustration for the first issue of YAMAHA Music School Timing magazine 2016. Lil stars came down to the forest of music and they sing a song together. Find your favorite music symbol among those unique-shaped plant in the starry forest!